Developing a solid marketing strategy for photographers is essential in order for their business to prosper. In the current market to be a successful photographer , you need not only to be on top of the technical demands of the job, but also develop marketing skills aimed at growing the business and continuously aligning it with the changing needs of the market place. For every photographer standing out from the competition is paramount, therefore it is essential your marketing strategy fully embraces the needs of your particular customers. In this respect, it is vital you evaluate your size and aims, as well as your target market, and then decide how to best position yourself to gain the strangest possible advantage. Applying a marketing strategy known as The Differential Advantage, can be helpful in identifying ways to provide the most competitive offerings to your clients and making you stand out from the crowd. It is very important to be evaluating on an ongoing basis that your brand/image and the service you provide, fits your target market. If you identify any disparity, you should address it quickly so you are not sending the wrong message to the wrong target market. Vital here is gathering an ongoing customer feedback to provide you with information on whether the product you offer and your style of photography fits with the needs of your customers. 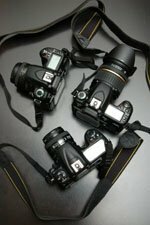 In many cases photographers find taking photographs the easy part of their business. But not taking the time to effeciently organise your work flow and back office systems can easily eat away any competitive advantage you might have gained. Do not underestimate this part because once setup properly it will allow you to have more time for finding new business. The key focus of this exercise is to look at each area of your business and identify which create more customer value and which do not. Improving on that can be a great differential advantage.